Here are some examples of ways you could invest a small portion of your stimulus payment to earn more as a mystery shopper. One way to invest in yourself is to get training that will make you more valuable to mystery shopping companies. Polish your writing skills by signing up for a seminar or class on grammar or business writing. Many local community colleges and continuing education programs have classes that help you to become a better and more confident writer. When your reports are better written, you may qualify for better assignments and earn more money. Feeling more confident about your writing ability can translate to spending less time agonizing over reports, meaning your effective hourly rate goes up–you get more done in less time. Another way to invest in yourself is with MSPA Certification. With the new Gold DVD, you can get certified on your own schedule, without leaving home. Order your Gold DVD here. Some companies offer assignments to certified shoppers before others, or attempt to fill as many shops as possible with certified shoppers. Most certified shoppers see more and better mystery shopping opportunities after becoming certified. Purchase equipment that will be less costly to maintain than current equipment. One of the best examples of this is replacing your ink jet printer with a laser printer . Laser toner cartridges last much longer than ink cartridges, and the cost to print a page is typically less. Although you will spend money on the printer, you will save on the cost of consumables. The price of laser printers has come down a lot over the years, with prices now starting under $100. Chances are, you would save at least that much money by replacing your ink-eating printer with a laser. Get tools to make yourself more efficient. Mapping software can help you plan shopping routes that will save gas and time. A digital voice recorder (DVR) can make recalling details and writing reports easier. An inexpensive digital camera can qualify you for shops requiring digital photos. 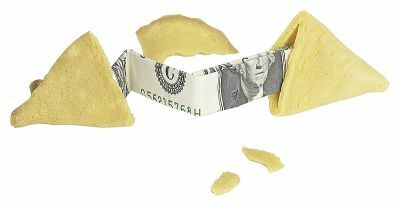 Don’t look at the stimulus payment as money in your pocket for a short time. Invest it wisely, and it will pay dividends for months and years to come. I am work at home father and have been a mystery shopper for a few years now. I have to say that I do not know if I exactly agree with the point of the article. It is true for me, and as I have surmised, for the majority of mystery shoppers, that we rely on mystery shopping mostly as a part time job to supplement a more stable and lucrative position. That being the case, to spend money on classes and printers and such is really not the best or most effective way to go. I would recommend that someone agree to go to a few more mystery shopping gigs farther away than where they usually go and pay for the extra gas costs with that money. For at least in this case your investment will return capital directly and immediately, and have little to no chance and becoming waste. I have learned a lot about secret shopping over the years and appreciate your site, it makes good point and has good content, I’m just not on the same page with you on this one. The suggestions in this article will not be right for everyone. However, shoppers who look at mystery shopping as something they are doing for the long-term will benefit from implementing a couple of them. If investing in your business allows you to get more shops and better shops for a long time to come, your investment will be repaid many times over. Thanks for sharing your thoughts! I’m glad to have you as a reader. Could you comment on whether certification by MSPA results in higher paying mystery shopping assignments. And if so, on average, what is the difference between the types of shops and pay a shopper receives without the certification in contrast to with it. I think that anyone considering getting certification would want to know if it’s financially worthwhile. Also, does having the certification increase the offers of shopping assignments that a mystery shopper might receive? There are a lot of factors in play regarding how MSPA certification influences shopper pay. It is impossible to estimate what the effect might be for a specific shopper, but here are the issues to consider when evaluating certification. Many companies will offer some types of shops first to certified shoppers, or will give preference to certified shoppers when making assignments. Some companies that use self-assign will give advance notice of shop postings to certified shoppers. Sometimes this is due to a request from the client. Clients are becoming aware of certification and its benefits, and they often request that shops be filled by certified shoppers when possible. Mystery shopping companies know that certified shoppers, especially Gold certified shoppers, are less likely to flake and more likely to do a good job. Shoppers who go to the effort and expense of getting certified tend to be the ones who take mystery shopping seriously to begin with. The training they get through certification reinforces and builds on their knowledge and experience. Many shoppers find that they can make more money after certification because they have access to more and better shops. Companies generally do not pay more because a shopper is certified, but certified shoppers may be more likely to get the shops that pay more. The circumstances where certification may not have much of a payoff would be (1) if you live in an area where there are not very many shops available or (2) if you already have all of the assignments you want. Remember that certification will open doors. If you are not known to a company, many are more likely to give you that first shop if you are certified. Of course, having a certification does not mean that you can get away with being a bad shopper or flaking on shops. Certification opens the door, the rest is up to you. I hope this answers your question, Karen. Cathy I am glad to be a reader. Anything I can do to constructively contribute.